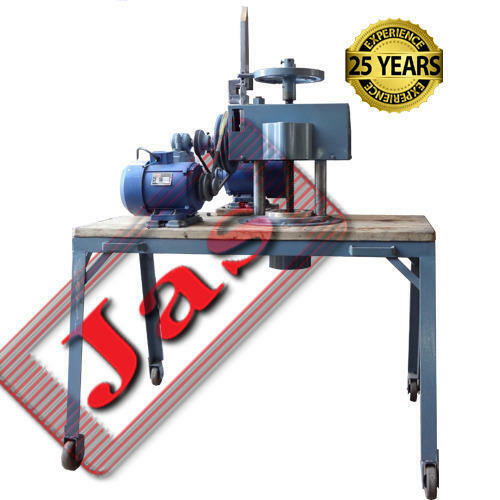 Avail from us a wide range of nylon sev making machines which are widely used for making various kinds of items. Manufactured using high quality components and material, these machines are appreciated for features like sturdy construction, abrasion resistance and longer working life. We also offer these in customized specifications. Mild steel easily movable structure with seasoned wooden plate with two numbers of 1 h.p. (0.75 kw) electric motor with reverse and forward switch this wheat sev making machine is supply with 3 numbers of tapper round hole screens. we serve a large base of clients in Food Processing Industry. We are a reputed firm engaged in the manufacture and export of different types of Food Processing Machines such as Automatic Impact Pulverizers, Hammer Mills, Automatic Chapati Makers, Pulverizers, Hammer Mills, Vermicelli Making Machines, Noodle Making Machines, Ribbon Blenders, Vibro Screen, Namkeen Machines, Potato Chips Making Machines, Banana Wafer Making Machines, Dal Mills, Commercial Kitchen Equipments and Centrifugal Juicers. Since 1990, we have commendable achievements in field of design, manufacture, installation and commissioning of various kinds of food-processing machinery and food-processing equipment. We have the ability to meet the deadlines and hence have earned accolades for our efficient delivery process. Our technical wing keeps itself updated with the technological advancements that facilitates in our production process.